I feel like I’ve known Tania and Kaushik for absolutely ages; I’ve been so lucky to be present during many of their special moments. I photographed their civil ceremony at Chelsea Town Hall in February and also spent a lovely morning taking some pictures of them at Chiswick House at their engagement shoot. I love getting to know my couples really well, it helps us all on the day. 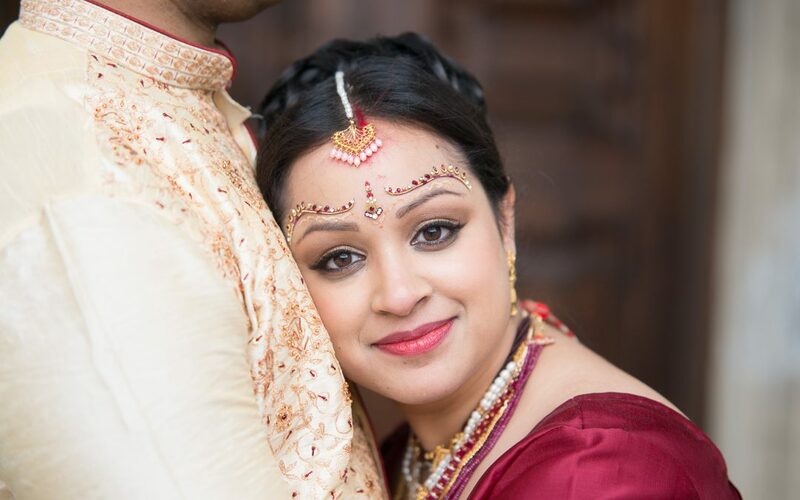 A couple of weeks ago I travelled to Warwickshire to photograph their traditional Hindu ceremony at Dunchurch Park. The ceremony kicked off with Tania being carried around Kaushik seven times with her face covered. It was a fabulous moment when finally she peeked over the leaves and she was revealed to her new husband. The marital ceremony followed which for me was a fabulous insight into the Hindu traditions.